Earlier this month I wrote about the Genz Benz Shuttle 6.0 amplifier, and heaped great gobs of sticky praise upon it. 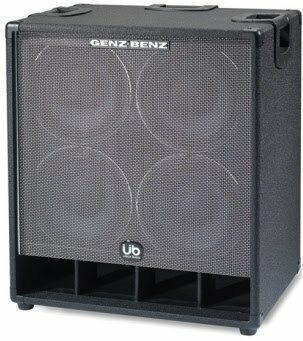 Well, I am equally impressed by the cabinets I use this amplifier with, one of them being the Genz Benz 410T Uber Bass cabinet. Genz Benz calls this a “lightweight touring cabinet”, so 72 pounds must be “light” in their universe. Then again, 72 pounds for 1000 watts of power handling at 4 ohms, is not too bad. And this is a pretty portable cabinet. It has nice molded lift handles, including one on the back so you can take advantage of the built-in casters and skid rail. Also, it has a durable nubbly vinyl covering that I have not been able to mess up over the past few years. Maybe their claims are not too outlandish. It is durable, portable, and relatively light for the amount of sound it can put out. And, as I said, this one can take 1000 watts at 4 ohms (there is an 8 ohm option as well). This power is routed through four 10-inch neodymium speakers, as well as to an adjustable 100-watt tweeter (4k cut). The 410T Uber Bass cabinet has both ¼-inch and Speakon connectors, so it mates up perfectly with my Shuttle 6.0. Anyway, this cabinet sounds incredible. It has a shelf port in the front, and the lows are very deep, not muddy. And adjustable tweeter level means that the highs do not need to be shrill. Plus it allows me to get the full power capability out of my Genz Benz Shuttle 6.0. This is a winning combination of amplifier and cabinet. 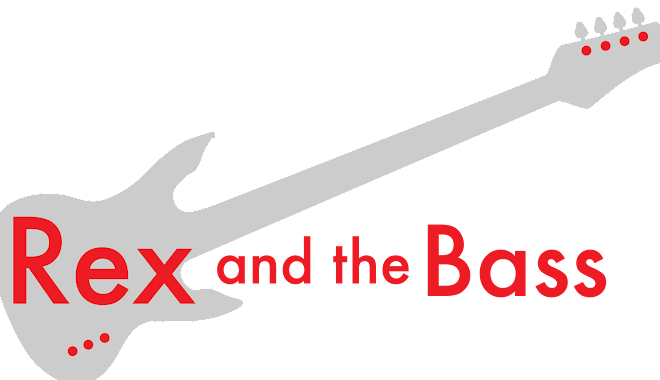 Sadly, the price of the Uber Bass 410T has gone up a bit, with a list price of $1449, and a street price of $1159. Save your pennies. The guys in my band all commented that my new bass rig sounds great. And of of the guys is a pro sax player with a really good ear. On the downside the first one I got had a rattle in one speaker. The second one was damaged in shipping so that's not GK's fault. Third one was the charm. Glad a stayed with it until I got a good one.